We’ve scoured the seemingly unending list of options for the winter installment of San Diego Restaurant Week 2015 and narrowed them down to our top seven dinner picks (though lunch is also offered at many locations). Since there are seven days of dining deals taking place from Sunday, January 18 through Saturday, January 24, we thought it best to pick one eatery for each day of the week based upon the location and amenities of the eatery (we’re suckers for a beautiful view), the value and menu options. Sunday - Top of the Market - $50 - What better way to enjoy a Sunday Funday than to indulge in a delicious dinner with a view? In order to kick start SDRW 2015, it’s best to go big or go home, so our pick is Top of the Market. Located along San Diego’s downtown harbor, this seafood mecca offers some of the freshest catch in town and Chef Ivan Flowers always impresses. My picks would be the lobster bisque espresso to start, the squid ink linguine for my main and the triple chocolate ganache peanut butter bar to finish. Monday - Cucina Urbana - $30-44 - I consistently crave Italian food on Mondays, and Tracy Borkum’s famed Cucina Urbana in Golden Hill offers so many delicious options for SDRW. Out of the 3 pricing options, I’d stay with the middle ground $36 menu, start with the stuffed squash blossoms, followed by the venison bolognese ragu with mascarpone polenta and would finish the meal with lemon torta della nonna. 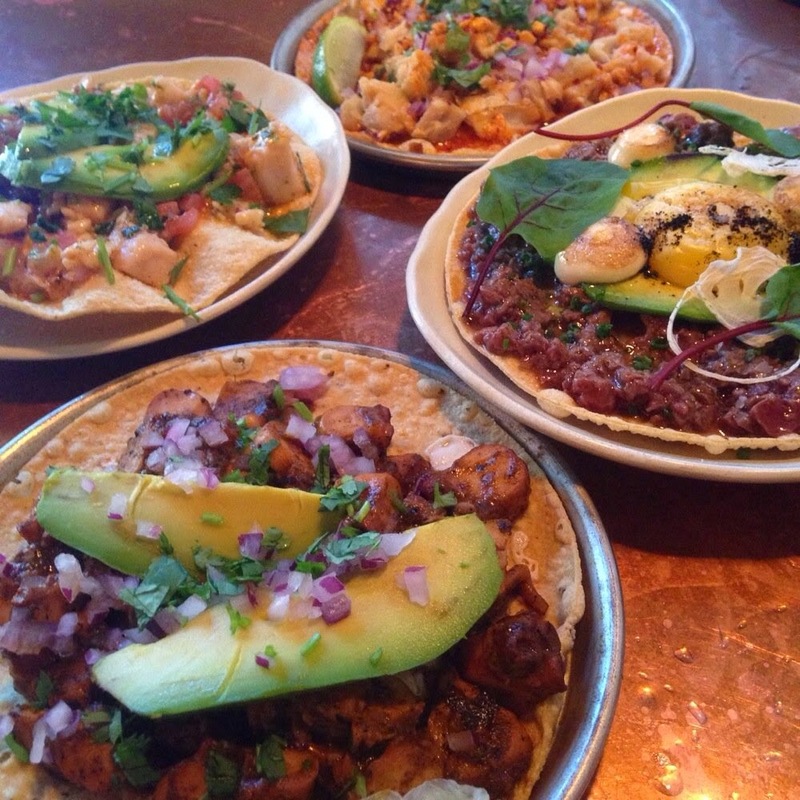 Tuesday - Común Kitchen & Tavern - $30 - We’re picking Chad White’s Comun on his weekly Tostada Tuesday so that we can grab a few cheap Modelos while we enjoy Baja-inspired deliciousness. Rather than offering a dessert, Chef Chad is giving 3 courses with a choice of one snack item, one tostada and one entree. My picks would be albacore belly on chicharrons, his delicious ceviche tostada and the roasted borrego Colorado lamb for my main. Wednesday - JRDN at Tower 23 Hotel - $40 - For humpday, we’d stay close to home and head to JRDN early so we can enjoy a few drinks on happy hour (4-7pm) during dinner. JRDN is consistently fantastic and offers beautiful views of the Pacific and great people watching on its heated patio. I’d start with the pear and arugala salad, followed by the 12 ounce NY Strip and I'd have to peruse the dessert menu to pick the finale. Thursday - Tom Ham’s Lighthouse - $40 - We love Tom Ham’s. They offer possibly the best views of the downtown skyline and Big Bay and always offer delicious dishes in a comfortable and casual yet classy atmosphere. I would choose the pork belly starter, the linguini and clams dinner and the chocolate bread pudding dessert. Friday - Tidal at Paradise Point Hotel & Spa - $30 - Dinner at Tidal for $30?!? Enough said! This waterside restaurant is gorgeous and Chef Amy DiBiase makes some killer dishes from her open kitchen. Of course, I would order the ricotta gnudi for starters (one of our Best Bites of 2014) and the duck confit for my entree. A dessert trio is the only option, but it’s three desserts in one, so who could complain about that? Saturday - Don Chido - $20 - Possibly the best value on the SDRW list, Don Chido’s $20 three course dinner cannot be beat. Even if you go crazy with the add-ons, it’s still an amazing deal. We’ve consistently enjoyed everything we’ve eaten from Chef Antonio Friscia’s modern Mexican eatery. For starters, I’d choose the Pozole de Verdura, adding smoked chicken for $3. For an entree, the wood fire grilled skirt Bistec Ranchero, topped with a fried egg (+$2) sound delicious. And while I’m a sucker for bread pudding, the Mexican fried ice cream sounds too fun to pass up. It's probably best to make your reservations for San Diego Restaurant Week as soon as possible, because many places will fill up. 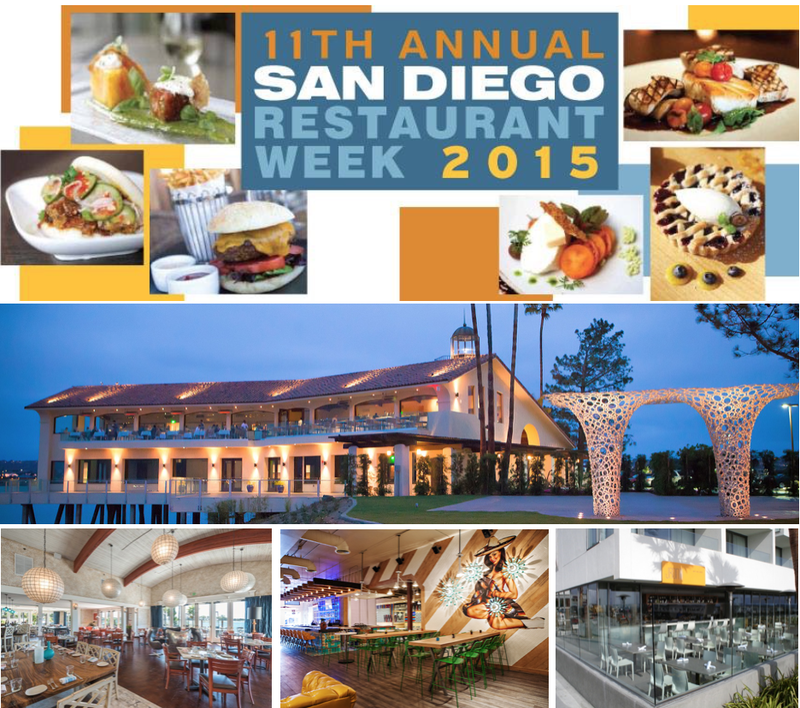 It's very easy to secure your spots right from the SDRW website at sandiegorestaurantweek.com or on the App for Android or Iphone.